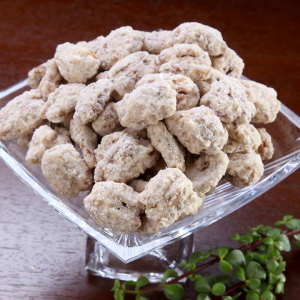 Glazed Pecans, an unforgettable Southern treat! 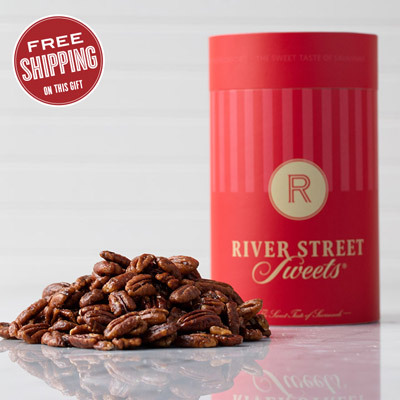 A visit to River Street Sweets isn't complete without indulging in our handmade glazed pecans. 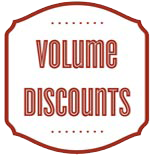 As soon as you step into the shop, the sweet aroma will tempt your taste buds. 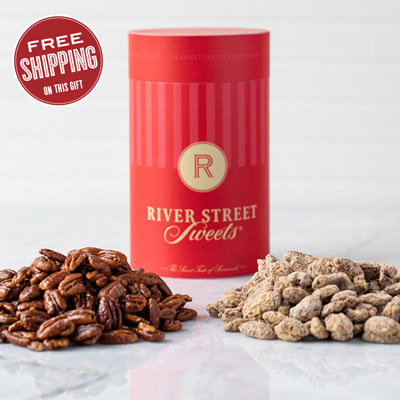 There's no point in denying yourself this special treat whether you opt for a one pound bag or a cute tin filled to the brim with the mouth-watering, lightly salted, sugar coated pecans. 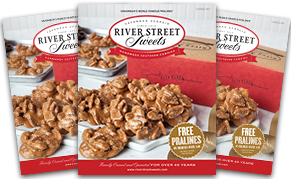 Since 1973, River Street Sweets has hand-crafted decadent candies right here in our historic shop located in Savannah, Georgia. 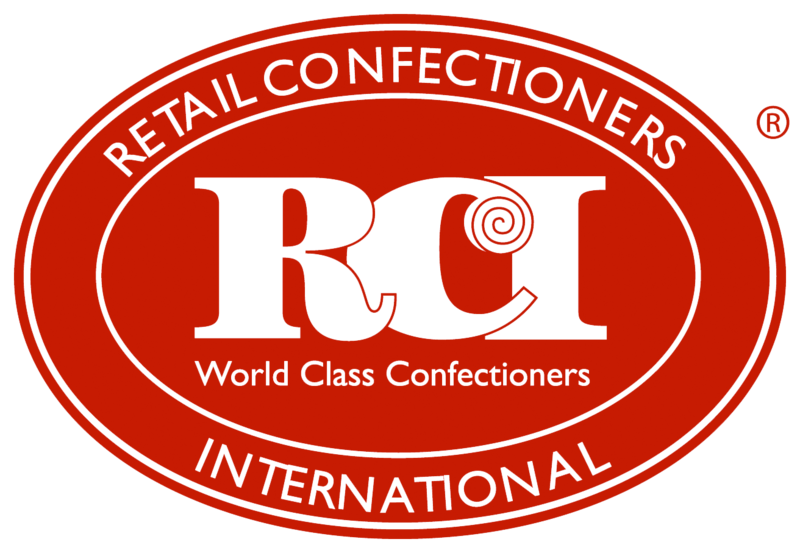 We are dedicated to incomparable product quality so even with the addition of stores in Atlanta, Charelston and Myrtle Beach, we use only Georgia's best pecans for our River Street Sweets glazed pecans. 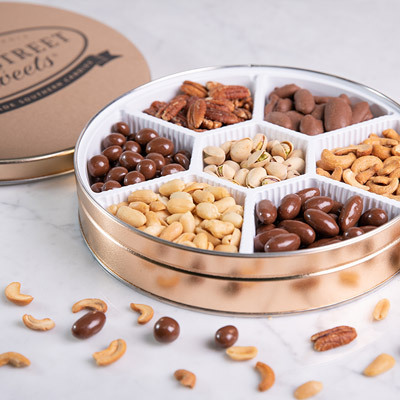 Our glazed pecans are handmade in small batches by our exceptionally trained candy artisans. The glaze mixture is heated in a copper kettle to bring our the delicately sweet, lightly salted flavor. 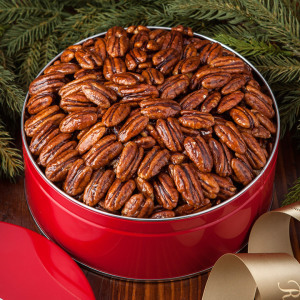 Then the whole pecans are poured in where they are mixed gently yet thoroughly with the glaze until it reaches a temperature of 280 degrees Fahrenheit. 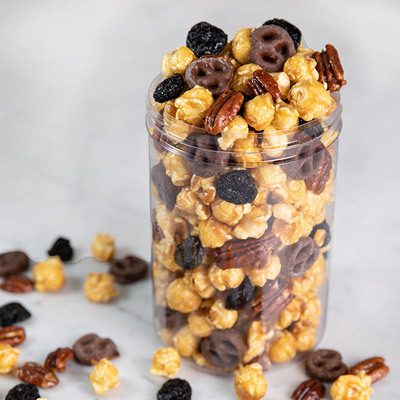 You can watch our candy making videos to see how these crunchy delicious gems are made too. The final step is the cooling process. 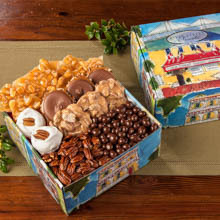 The glazed pecans are spread across a large, marble table and the candy artisan, by hand, separates the pecans from one another. 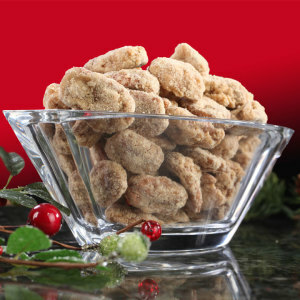 Watching the Glazed Pecans being made and sampleing the fresh warm treats is an incomparable taste adventure! 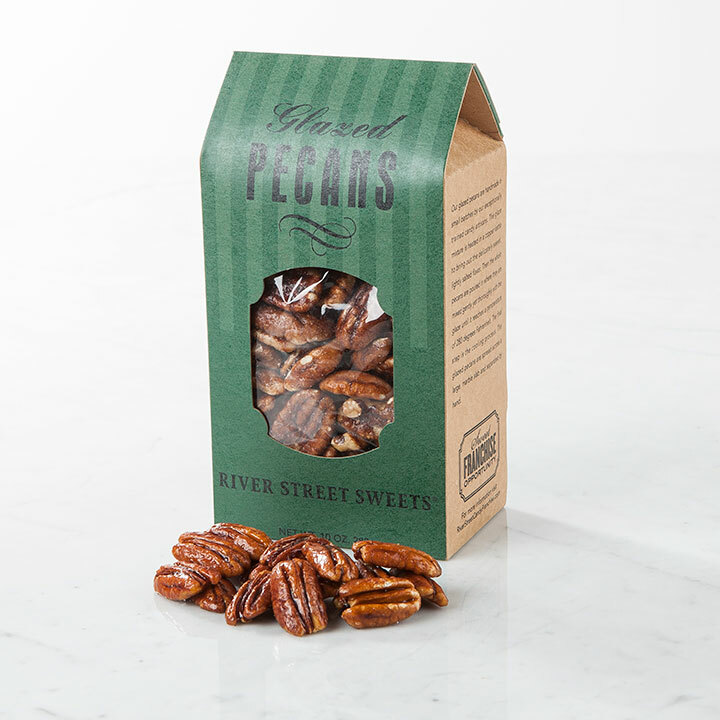 By making our glazed pecans in small batches, we can ensure their quality and outstanding flavor never wavers. 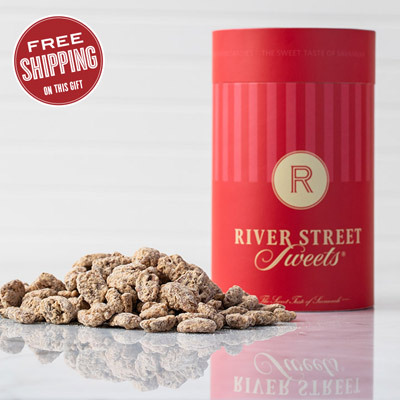 Whether you visit us in person at River Street Sweets or order our delectable candies online, you'll always enjoy handmade treats, crafted daily by our candy artisans. 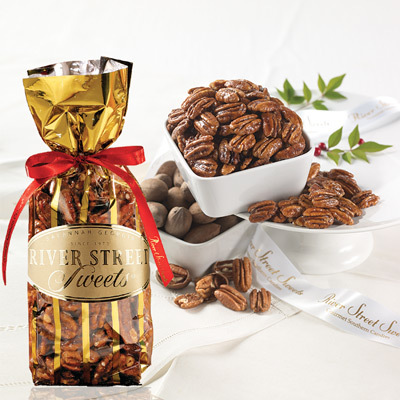 Our River Street Sweets candied pecans are the perfect gift for any occasion. 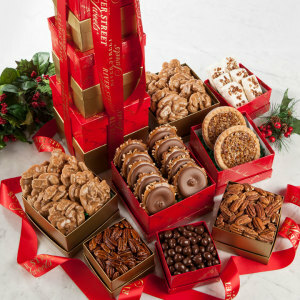 Send a tin of glazed pecans to someone special across the miles during the holiday season, have a one-pound gift bag sent to mom for Mother's Day, or opt for the Pecan Lover's Favorites with glazed pecans, praline pecans, chocolate pecans, and cinnamon pecans as a uniquely delicious housewarming gift for your new neighbors. 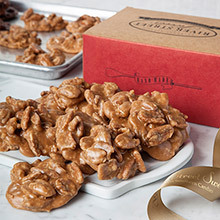 Why not pair a bag of glazed pecans with our original pralines for a double-dose of sweet fun? 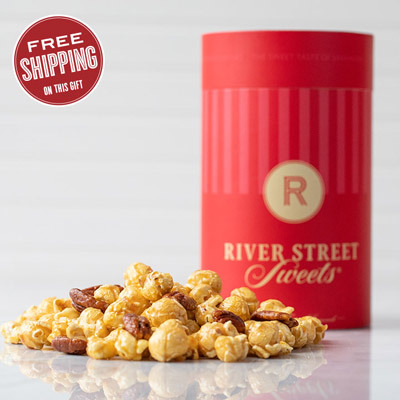 Check out all our River Street Sweets today. 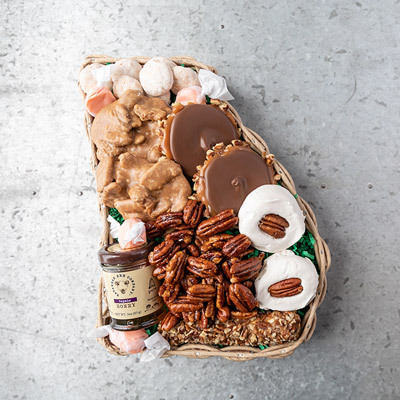 From pralines and bear claws to glazed pecans, our southern treats are sure to put a smile on everyone's face.